We here at eFireplace Store know that accessories can wear out or get lost, that's why we have all the fireplace parts you need to keep your hearth up, running, and beautiful. We also know that maybe there's nothing wrong with your hearth, maybe you just need an little something extra for that perfect final touch. Well, we've got that too, take a look and find the right fireplace part for you! Do you sell Flame Monaco replacement parts and if so, what is the cost of the fire baffle? While we are able to order this exact replacement part via custom order from the manufacturer, please note that we do also carry the more readily available SBI Vermiculite Board - Pack of Two which has almost the exact same thickness and measurements as the baffle you are replacing and would be a less-costly option. These boards measure 16" x 24" x 1.25" while your baffle measures 24 3/16'' X 14 25/32'' X 1.25'', so you would simply need to trim 1 7/32" off the 16" width. Also, you would have a 2nd board to use at a later date. 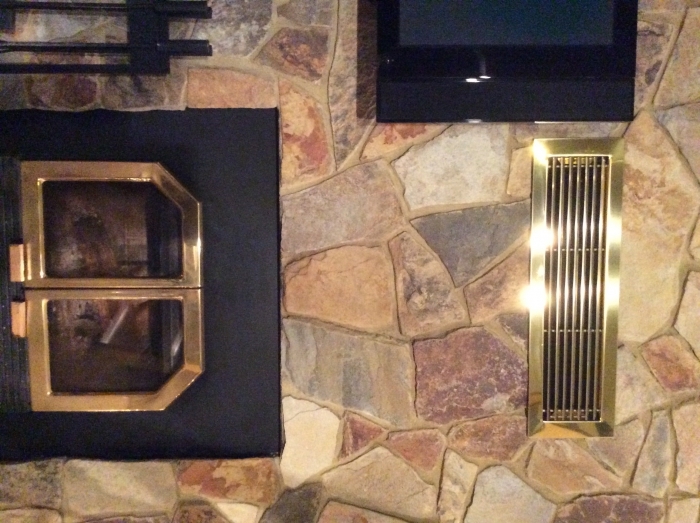 What paint can I use to paint my fireplace/wood stove doors and vent on front of fireplace? It is bright brassy colored and I want to paint it black. I need a replacement part for my fireplace. Do you offer these? We pride ourselves in being able to source a vast number of replacement parts to keep your fireplace in top operating condition. Because the availability of parts fluctuates frequently, we do not keep a complete list of all parts for all manufacturers on our website. You are encouraged to give our knowledgeable techs a call at 1-800-203-1642. We have many NFI certified technicians on staff that will be able to research your model and locate available replacement parts. Before calling in, we recommend having both the brand name and model number of the appliance available. For wood burning fireplaces, there is usually a metal build tag just inside the fireplace opening or around the opening perimeter with this information. Gas fireplaces will usually have a build plate in the void area beneath the fireplace floor, near the gas control valve. You also have the option to complete our replacement parts form. A specialist will reply with an update in 24 hours.